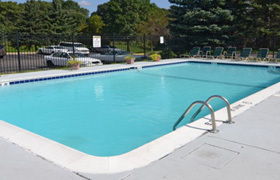 At Pondview Apartments in Maplewood, MN we offer a serene setting and peaceful living. Surrounded by 29 acres of natural wetlands and hiking paths, Pondview Apartments are an idyllic sanctuary. In our courtyard, you will find an outdoor heated swimming pool, play tunnel, basketball court, picnic tables and BBQ grills. 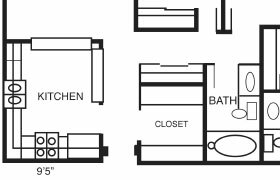 Our spacious one bedroom/one bath, two bedroom/one bath, two bedroom/two bath, or three bedroom/two bath floorplans include many fantastic features such as walk in closets, ceiling fans, breakfast bar, dishwasher, balcony/patio, underground parking, 24 hour laundry rooms, and trash chutes on each floor. Heat, trash, recycling, water,sewer and, underground parking are included in the rent for your convenience. Pondview Apartments feature a variety of desirable amenities. 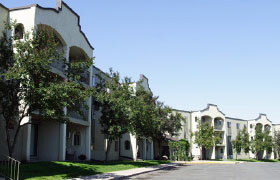 Pondview Apartments feature a variety of spacious floorplans.